European Union Competition Commissioner Margrethe Vestager held a joint news conference at EU headquarters in Brussels on Wednesday after slapping a record $5 billion antitrust penalty on the U.S. tech giant. The tech giant plans to appeal the decision, a Google spokesperson tells NPR. "Android has created more choice for everyone, not less," the company says. "A vibrant ecosystem, rapid innovation and lower prices are classic hallmarks of robust competition." Last year, the European Commission fined Google $2.72 billion for antitrust violations. That time, it found Google was using its search service to improperly promote its shopping service. The new fine — 4.34 billion euros, or just over $5 billion — sets a world record for such antitrust penalties, Bloomberg reports. And if Google doesn't change its business practices, the cost could grow even higher, with penalty payments added after 90 days. The European Commission says the large fine is appropriate because of the "duration and gravity" of the antitrust violations. The executive body says that about 80 percent of smart devices in Europe run on Android. 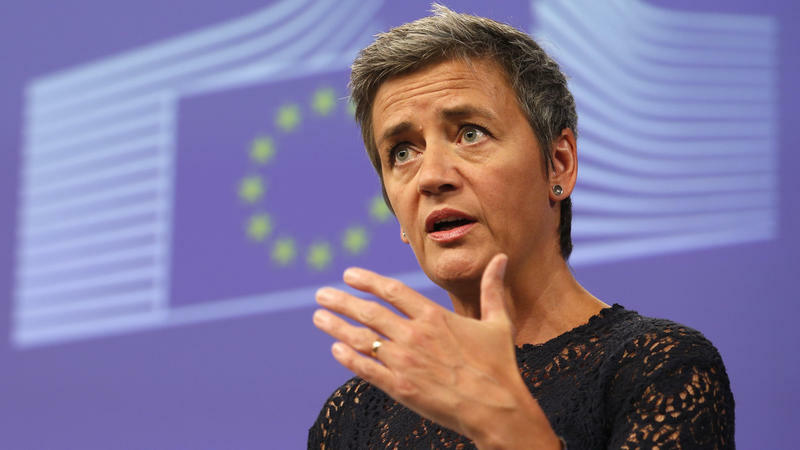 It's not illegal to dominate a market, the European Commission says — but companies aren't supposed to "abuse their powerful market position by restricting competition." Google licenses its Android operating system to third-party phone manufacturers. The issue, the EU says, is that Google requires Android device-makers to pre-install the Google search and browser apps on "practically all" devices sold in Europe; in the past, the company used financial incentives to further encourage pre-installation. That makes it hard for other search apps to compete, the EU says. Google has prohibited companies that make Android devices from making and selling any other devices that run Android forks. That gives Google too much power over competition between different operating systems, the EU says. Google forcefully objects to the ruling, calling it a a rejection of Android's entire business model. Phones typically come preloaded with dozens of apps, not just Google apps, and it's easy to remove them and add new apps instead, Pichai writes. He also says that the rules imposed by Google are meant to "ensure technical compatibility," and that they're optional. "No phone maker is even obliged to sign up to these rules — they can use or modify Android in any way they want, just as Amazon has done with its Fire tablets and TV sticks," Pichai writes. Because Google makes the Android platform available for free, the company only makes money off the phones if Google apps are installed and used, Pichai says. The case is reminiscent of a 2009 agreement between Microsoft and the EU. The EU said that Microsoft was violating antitrust rules by selling computers with Internet Explorer as the default browser, and Microsoft agreed to offer users a choice of browsers instead. Bloomberg opinion columnist Alex Webb points out a key difference between the two cases. This time around, there's no requirement to promote competitors' apps. 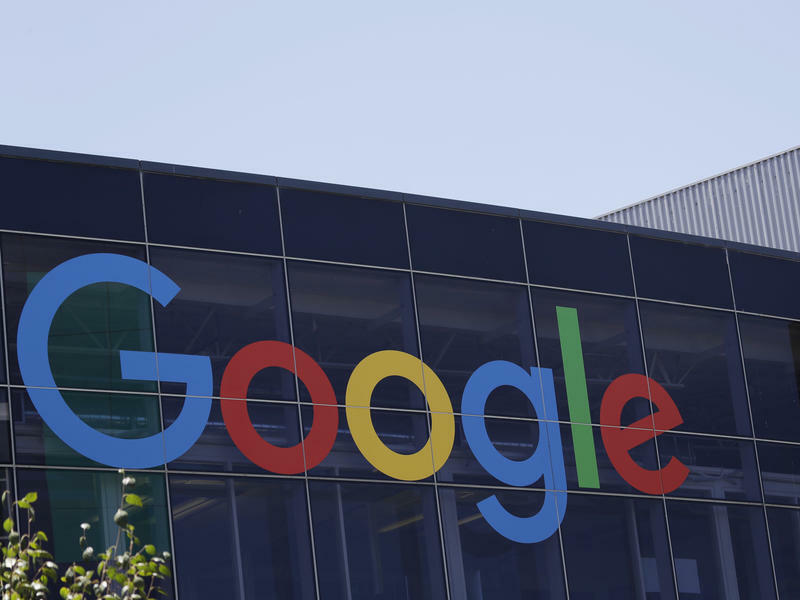 The European Commission has fined Google 2.42 billion euros ($2.72 billion) after finding that the company used its dominant search engine to drive people toward another Google product, its shopping service. 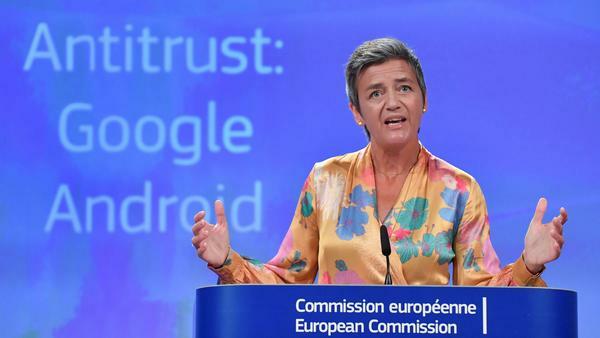 "What Google has done is illegal under EU antitrust rules," said European Commissioner for Competition Margrethe Vestager. "It denied other companies the chance to compete on the merits and to innovate. And most importantly, it denied European consumers a genuine choice of services and the full benefits of innovation." Google is facing diverse diversity lawsuits. A former employee is suing the company for allegedly discriminating against white and Asian male applicants as it tries to boost the number of black, Latino and female staffers. 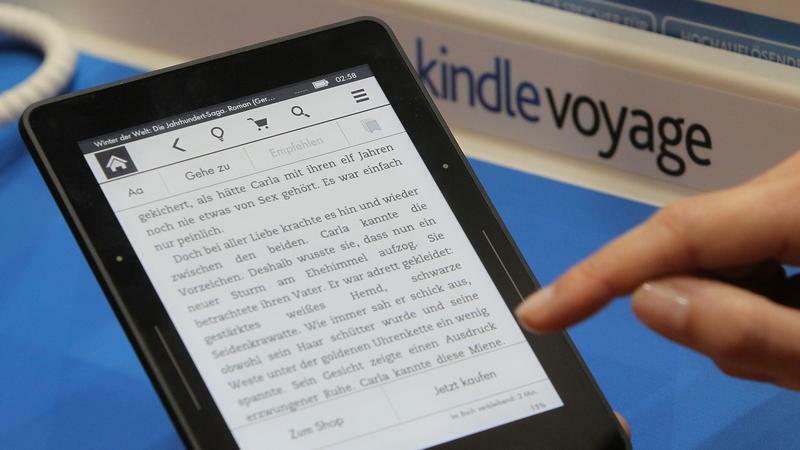 The European Commission announced Thursday that it is concluding its antitrust investigation of Amazon over e-books, citing key changes to the contracts that inspired the probe in the first place. The executive arm of the European Union had been wary of clauses that required publishers to alert Amazon about terms offered by the company's competitors — clauses that Amazon has now promised to modify.